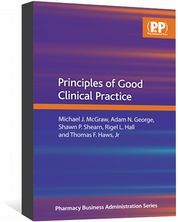 Extensively reviewed and updated edition of a valuable book for medical practitioners working with children. Over the past 25 years, Pediatric Injectable Drugs — also known as ‘the Teddy Bear Book’ — has served as a valuable reference source for evidence-based information on paediatric injectable drugs. 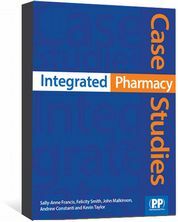 This 11th edition has been revised to include 247 monographs of commonly used paediatric parenteral medicines. Fifteen new monographs have been added since the previous edition was published and the existing monographs have been extensively reviewed and updated to include the most recent literature available. Much of the information has been compiled in an evidence-based manner from the primary literature including case reports, observational reports and comparative trials. 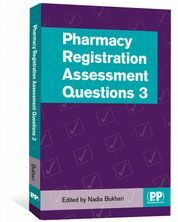 Many licensed medicines are not formally tested on children and lack rudimentary dosing information for paediatric use; this book addresses this deficiency by compiling case histories, accidental overdose reports and clinical studies into a single source of reference for licensed and unlabelled use of intravenous (IV) medicines in paediatric patients. As with previous editions, the drug monographs cover a number of areas: brand name; medication error potential; contraindications and warnings; dosage (age specific); dosage adjustment in organ dysfunction; maximum dosage; additives; suitable diluents; maximum concentrations; preparation and delivery; IV push (bolus injection); intermittent infusion; continuous infusion; other routes of administration; and general comments. Unless otherwise specified, doses are banded into age groups: neonates (premature and term); up to one month; infants (aged 1–24 months); children (aged 2–12 years); and adolescents (aged 12–18 years). Where applicable, adult dosing is also provided. Dosage is usually expressed as mg per kilogram per day in divided doses. Some doses require a calculation of body surface area or ideal body mass, and nomograms for carrying out these calculations can be found in the appendices. 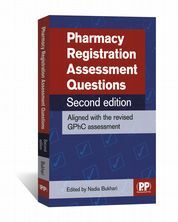 The book highlights drugs requiring dosage adjustment in patients with renal or hepatic dysfunction, and drugs requiring serum drug concentration monitoring. Miscellaneous information, such as sodium content, is included in the comments section of each monograph. Information pertaining to adults is sometimes included as, in the absence of reports on paediatric use, adult data may be relevant and may be cautiously extrapolated to the paediatric population. Each monograph is extremely well referenced, and a comprehensive list of abbreviations can be found at the beginning of the book. This important book provides guidance to pharmacists and nurses who administer IV drugs to neonates, infants, children and adolescents. 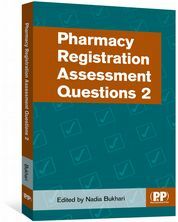 Together, the four editors have over 100 years’ experience of paediatric pharmacy practice, and this has certainly contributed to a most thorough and comprehensive reference source. Pediatric Injectable Drugs, 11th edition, is an indispensable reference for practitioners working in the field of paediatrics. A one-stop source for the proper conduct of clinical trials. Essential information on clinical trial design and pharmacovigilance.